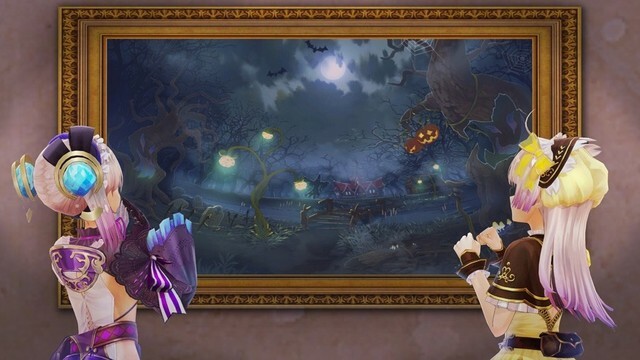 For veterans of the Atelier series of games, Atelier Lydie & Suelle: The Alchemists and the Mysterious Paintings is another very good game. The "mysterious" paintings add a nice change to new areas that are not accessible from the traveling map. There is a large host of old and new characters, as well as a favorite from the Arland series that I did not expect to see. All the voice acting is done in Japanese, but don't let that scare you away. The text is in English, however there are tons of grammatical errors, plus lots of missing words in sentences. It kind of makes me wonder if the game was playtested before releasing in the West. The battle system is mostly the same as ever, however it is noticeable that you need to grind more to level up than you might be accustomed to from playing previous Atelier games. There is a new aspect to the battle system, though, that allows your back row characters to support the front row. Support abilities vary from character to character, and I found that having Lydie in the back was beneficial to a character with lower HP/damage, as she supports by healing her front row character each time they are hit or giving them MP when they use a skill. And of course you can switch front and back row characters at any time. The controls will feel very familiar to anyone who has played a previous Atelier game on the PS3/PS4. The crafting system has been modified again from Sophie/Firis. They have made it much harder to craft items with enhanced abilities. It does not feel like Quality plays an important part anymore and the focus is more on unlocking trait levels so that you can unlock and access better traits on synthesized items. The game plays smooth enough on the Switch, but doesn't feel like it was really optimized to play at 1080p. It looks great on the 720p handheld screen, though, which is what I recommend you play it on. Overall, I give this game an A- on the Switch. The dialogue could have used a lot more polish, especially because English-speaking players will be relying on it due to the lack of English voice acting. Considering it is the first Atelier game on the Nintendo Switch, though, this is still a great entry. I plan on putting some time into the PS4 version after I finish up the extra content on the Switch!